If there’s one thing southerners love, it’s pickled foods. 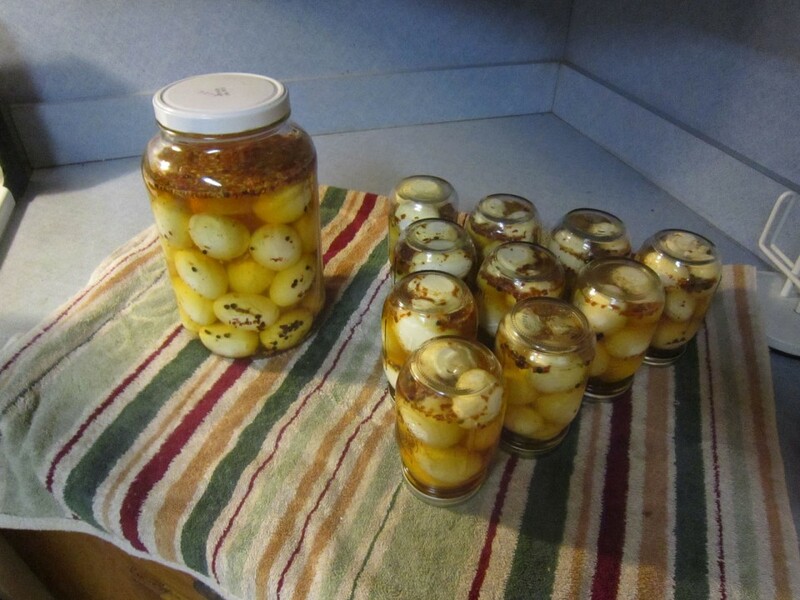 Pickled pigs feet, sausage, and eggs are staples in many homes in Alabama. Tonight, my housemate and I decided to pickle just over 100 eggs. We’ll sell most of them at a nearby auction (they easily bring $5/pint) and eat the rest.